When the country's most notorious criminal offers you protection in jail and your next best offer is a shiv in the back, there’s only one realistic answer. So when career crook Brendan Lynch takes 19-year old JR under his wing, greater danger inevitably lies ahead for the young miscreant involving guns, gold and girls. Son of a Gun, the latest crime thriller out of Australia, stars Ewan McGregor as Lynch, Brenton Thwaites (Maleficent) as JR and Alicia Vikander (The Fifth Estate) in an exciting debut from writer-director Julius Avery. If you fancy something different than the usual January serving of Oscar bait, and love your movies with a bit more guts, The List is giving away tickets to an exclusive preview of the film at Edinburgh Cineworld, Tue 20 Jan at 7pm. Did you see Animal Kingdom, Snowtown, The Square, or most recently The Rover? You bloody well should. Son of a Gun joins this esteemed list of recent Aussie flicks, where the sun shines bright, the sea stuns in turquoise, and crime drama is served with added grit. No-one really knows why Australians – who otherwise live in a land of milk and honey – are so good at making such hard drama, but our cinematic experiences are better for it. Son of a Gun boasts two acting talents to watch out for, one of whom is about to have a big year. This month Alicia Vikander also stars in much hyped sci-fi drama Ex Machina, Alex Garland’s directorial debut, and latter in the year joins Henry Cavill and Armie Hammer in Guy Ritchie’s The Man from U.N.C.L.E – those are just two of her eight films to be released in 2015. Alicia can also be seen in tabloid gossip columns thanks to her relationship with Michael Fassbender. Did you know that Australia’s number one export to the US is acting talent? Okay, that might not be entirely accurate, but newest arrival Brenton Thwaites looks like the real deal again. Brenton joins the swelling ranks of Aussies scouring the streets of Los Angeles for a decent flat white. Watch out for him in 2016’s Gods of Egypt, directed by Alex Proyas (Dark City, The Crow). And let’s not forget the star of the show, our very own Renton. Yes, Scotland’s finest is most definitely hot again in Hollywood after a string of critical hits including: I Love You Phillip Morris, The Ghost, Beginners and The Impossible. It’s not often we get to see this harder side of McGregor, so we’re really excited about what the actor will bring to the table as a hardened crim and it finally feels like we can put Angels & Demons behind us. If you live in Edinburgh or nearby, follow the link and apply to see The List’s exclusive preview. 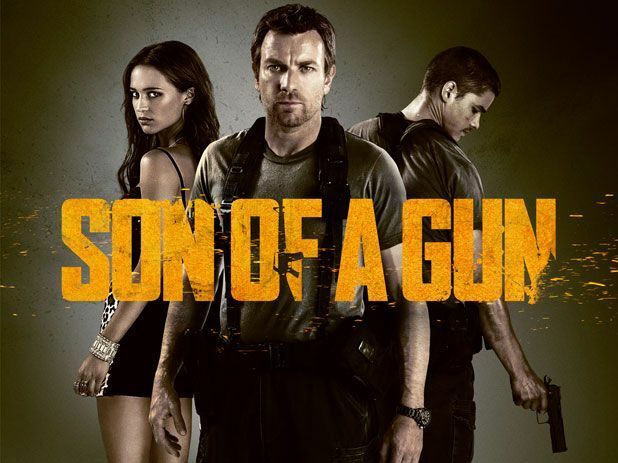 Son of Gun is on general release Tue 30 Jan.